DJ Holiday has been gearing up for the release of his upcoming God Bless The Mixtape project throughout the year with tracks like “Miley” featuring Wiz Khalifa and Waka Flocka and “Trap House” featuring Migos and Ca$h Out. 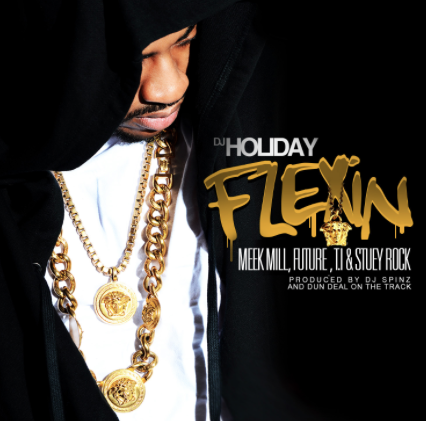 With the fourth quarter underway, DJ Holiday is back with his new street banger Flexin featuring Meek Mill, Future, T.I. and Stuey Rock. While there’s no set release date for his upcoming project, DJ Holiday serves up this banging new track to hold us over until we get our hands on the full project. Produced by DJ Spinz and Dun Deal. Tagged with: DJ Holiday Future Meek Mill Music Stuey Rock T.I.